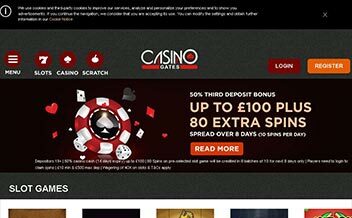 The Casino was founded in 2008 and has since then provided players with an incredible platform with gaming offerings from some of the best gaming software developers. The Casino which is owned by Blacknote Entertainment Group Limited Casinos is also regulated by the government of Curacao. Rich Casino has been in operation for a decade making it rich in online gaming information and knowledge, The Casino has undergone improvements and overhauls all with the purpose of enhancing the player’s experience. The Casino offers players a terrific collection of slots and games, 24/7 customer support, high-end client protection, Gaming Labs certification. Rich Casino offers new and existing players a variety of bonuses and promotions to keep them engaged and playing always. Upon registration, the Casino rewards the player with a $25 non-deposit bonus. Additionally, players get a 500% match up to $25 on all five first deposits. To withdraw the bonus and any winnings coming from the deposit, players must wager the amount 25 times. The Casino also has several in-play promotions and a VIP Club that promises numerous bonuses and promotions for existing and loyal players. Rich Casino has one of the best assortment of slot games from developers such as Microgaming, BetSoft, IGT, among others. Some of the games available include Mr. Vegas, Sugar Rush, Good Girl Bad Girl, Fruit Zen, Greedy Goblins, among others. The Casino also has the needs of table game fans sorted. Through Microgaming and Betsoft, the Casino provides punters with table games such as Blackjack variants, Roulette variants, Baccarat variants, Craps, and Casino War. Video Poker game fans also have something to celebrate when playing at the Rich Casino. The developers guarantee players an amazing experience with some game offerings that include Joker Poker, Deuces and Joker, Deuces Wild, Jacks or Better, among others. 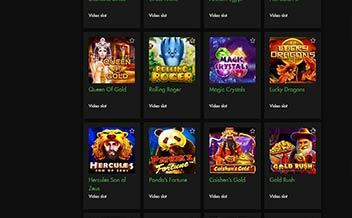 Rich Casino’s software is powered by some of the most incredible gaming powerhouses. Coming together of these well-known developers have given rise to a spectacular modern-day Casino that is entirely instant play. Some of the developers include Microgaming, IGT, BetSoft, Parlay, Visionary iGaming, Pragmatic Play, and Habanero. The United Kingdom, the United States, Italy, the Netherlands, South Georgia, Costa Rica, North Korea, Denmark, Curacao, Yemen, Syria, Ukraine, Chad, among others. American Express, Money Transfer, Paysafe Card, Neteller, Visa, Skrill, Entropay, Easy EFT, Bitcoin, Bank Wire Transfer, Ecopayz, QIWI, among others. US dollars, Canadian dollars, Euros, British pounds sterling, Australian dollars, South African Rand. Rich Casino runs on major browsers such as Internet Explorer, Mozilla, and Chrome. The Casino is also available on instant play and mobile devices. Players can thus play from anywhere without having to download additional files. Players can access the mobile version of the Casino using both IOS and Android devices. Rich Casino which is a long-standing Casino is certainly an ideal spot to try your luck while still having a good time at it. 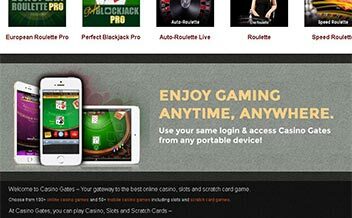 The Casino has a diverse selection of online slots and games, solid customer support, high-end security protocol, and enjoys certification from Gaming Labs.